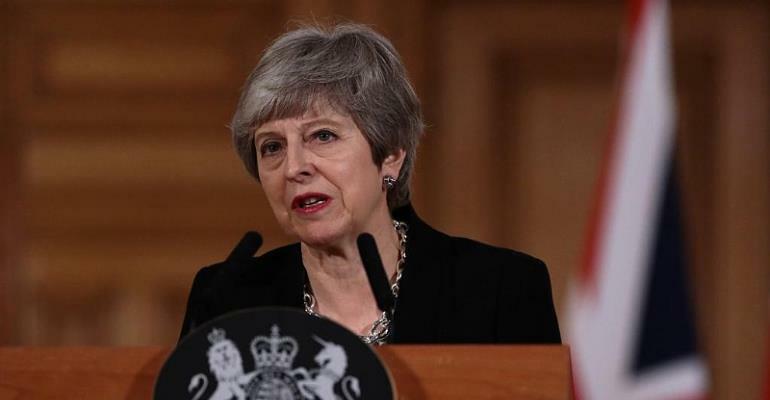 The British Prime Minister, Theresa May, on Friday asked the EU to delay Britain's departure from the bloc until June 30. In a letter to Donald Tusk, the European Council president, May said that the extension would end earlier if parliament approves her Brexit deal. "The United Kingdom proposes that (the extension) should end on June 30 2019. If the parties are able to ratify before this date, the government proposes that the period should be terminated earlier," she said. Tusk, according to a senior EU source, had earlier proposed to offer Britain a year long extension to its departure. The proposal would allow Britain to leave before the deadline if British MPs agree an exit deal. France epitomised the disquiet in other European capitals. A source in the president's office said it would be premature to discuss an additional delay to Britain's exit without evidence to justify an extension. "We are waiting for a credible plan between now and the EU summit on April 10, when we will study the request," said the source. The current deadline of 12 April was agreed because of the British parliament's failure on three occasions to support the deal May signed with the other 27 EU leaders in December 2018. In her letter to Tusk, May said she wanted to make sure that Britain terminated its 46 year membership of the EU with an agreement that could help unravel political, security and economic ties. "The government's policy has always been and remains to leave the European Union in an orderly way, and without undue delay," May wrote. "The government agrees that leaving with a deal is the best outcome." EU leaders, who meet in Brussels on 10 April, must give unanimous backing to any new deadline. May's letter said that should she fail to find a compromise with Labour, the two sides would instead look to establish a consensus on several clear options on the future relationship with Europe. Those ideas would be be put to the British parliament for a series of votes to decide on how to proceed. May conceded that this method could take time and lead Britain to take part in European Parliament elections on 23 May. "Britain would be under a legal obligation to hold the elections," May wrote. "The government is therefore undertaking the lawful and responsible preparations for this contingency." But the discord rampaging through British political circles was immediately laid bare. Foreign secretary, Jeremy Hunt, speaking in France on the fringes of a conference on media freedom, said there was no appetite to organise European elections. "Nobody wants a long extension," he added. "I don't think the EU states want it and we certainly don't want one."